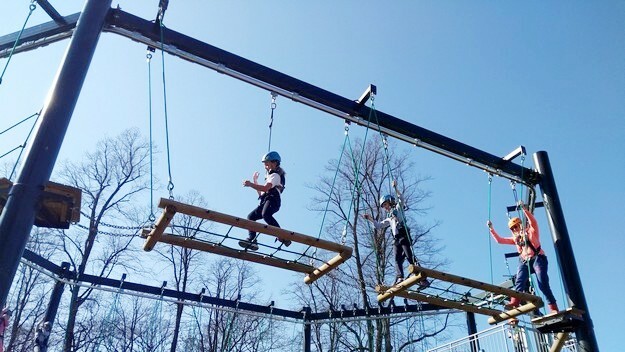 Withington Girls’ School, based in South Manchester, is a leading independent day school for girls aged 7 to 18 in which some of the best academic results in the country are achieved within a lively, happy and caring environment. We are seeking a Development Officer, to join our Development team, who can oversee the delivery of the communications and engagement plan with the School’s alumnae and donors. You will lead on the production of key publications and develop innovative new strategies for digital communications and social media. Alongside this, you will also support the School’s fundraising programmes in producing compelling cases for support and inspiring fundraising collateral. The opportunity to bring your excellent communication and marketing skills to this key role in continuing to develop our alumnae and donor relationships. The chance to work within a creative, enthusiastic and dedicated team. The opportunity to join our outstanding school where public examination results consistently place Withington amongst the top 30 independent schools in the UK and a leading school in the North West. A highly diverse environment where pupils come from a wide geographical area in, around Manchester, and from many different social, cultural and religious backgrounds, which is a defining feature of the school. Colleagues eager to share passion and enthusiasm for the School and where the relationship between pupils and staff is a strength of the school. A warm and friendly school where staff are respected. Fantastic opportunities to get involved in the life of the School, with excellent facilities in new and refurbished buildings. Opportunity to develop yourself, with the School’s continued commitment to continued professional development. Thank you for your interest in joining our staff at Withington Girls’ School. We seek to recruit well-qualified and enthusiastic staff with a passion for their area of expertise. Working at Withington provides an outstanding opportunity to teach, or support the teaching of, highly-motivated, able students in a stimulating, friendly and supportive environment. Contact Nichola Byrne, our Human Resources Manager, on 0161 224 1077 or email recruitment@wgs.org with any queries you may have about working at Withington Girls’ School. Withington Girls’ School was founded in 1890 by a small group of eminent and far-sighted Manchester families who wanted the same educational opportunities to be available for their daughters as were already available to their sons. 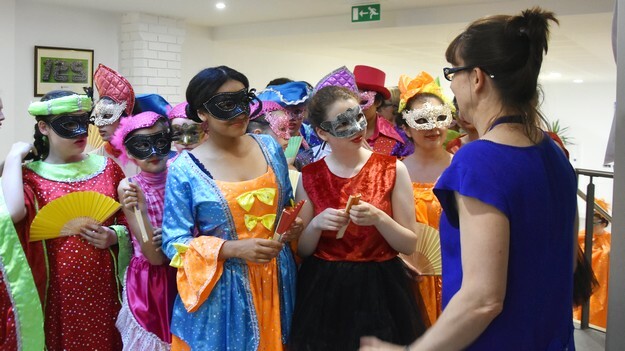 In keeping with the Founders’ wishes, the School has remained relatively small, with approximately 720 pupils; 155 in the Junior School (Years 3 – 6), 410 in the Senior School (Years 7 – 11) and 155 in the Sixth Form. 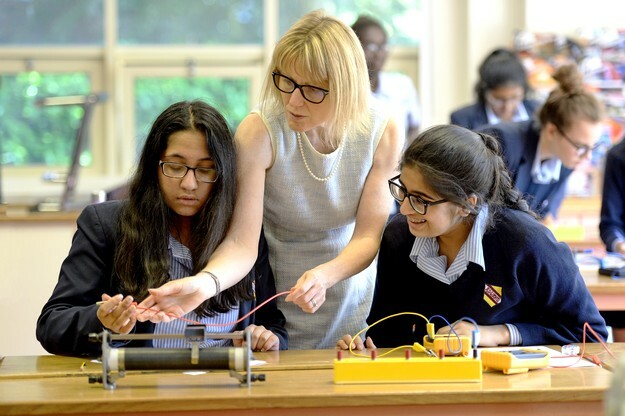 The Head of Withington Girls’ School is a member of both the Girls’ Schools Association (GSA) and the Headmasters’ and Headmistresses’ Conference (HMC). Public examination results consistently place Withington amongst the top schools in the UK. In 2018, our pupils were awarded 91% grades A*, A or B at A Level, with 43% overall being at A*. At GCSE, 92% of all papers taken were awarded the top 9 to 7 or A** to A grades. Sixth Formers leave to study a wide range of degree courses at leading universities in the UK and overseas. The Sutton Trust reported in 2012 that Withington was the second most successful school (state or independent) in the country for placing students in the 30 most selective UK universities over the previous three years. Results in A-Level and GCSE examinations have seen Withington ranked in national league tables as the top girls’ independent school in the north of England. Academic excellence is secured alongside an extensive range of extracurricular opportunities, including Music, Drama, Sport, Mathematics, Linguistics and Science Olympiads, the Duke of Edinburgh’s Award and the Young Enterprise Scheme, Model United Nations, Debating and Robotics Clubs, to name but a few. Sixth Formers work as voluntary assistants in local primary schools, a centre for severely disabled children, residential homes, hospices and hospitals. All girls, throughout the School, engage in charity fundraising, collectively raising £26,814 in 2017-18. There are special links with Barnardo’s, two schools and a hospital in Kenya and a school in Uganda. Groups of Upper Sixth Formers engage in voluntary projects in The Gambia and Uganda each year and pupils take part in annual World Challenge expeditions. Academic departments offer subject-related trips and activities in addition to cultural trips at home and overseas. 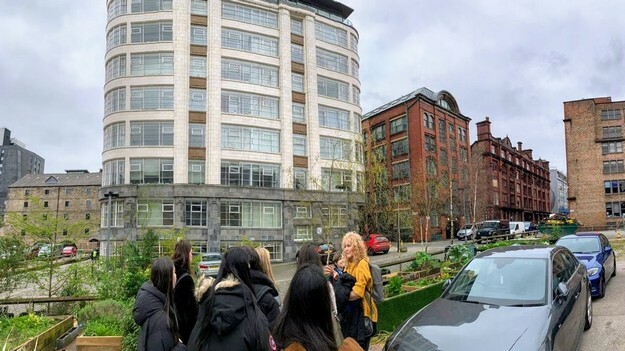 Pupils come from a wide geographical area around the Manchester locality, and from many different social, cultural and religious backgrounds, creating a diversity in which the School rejoices. The School is non-denominational and girls of all faiths, or none, are equally welcome. Through the Withington Girls’ School Trust, up to 100 means-tested bursaries are offered each year according to need. The Governing Body is strategically focused and highly supportive of all areas of the School. The forward-looking development programme has, over the last ten years, provided a new Sixth Form Centre together with six new classrooms (which were opened in May 2009), a refurbished Art Room (opened in 2012) and a number of new facilities opened in September 2015 including a purpose-built Junior School, an expanded and re-equipped suite of Chemistry laboratories, a Design Technology workroom and a central ‘Hub’ which provides exhibition and social space for pupils as well as facilitating access to all the School’s main buildings. This year, a brand-new Sport & Fitness Centre was completed. 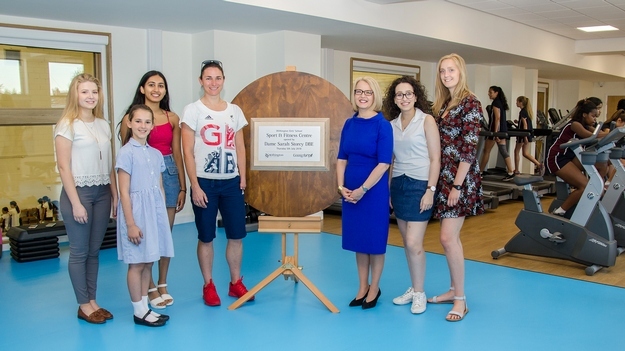 Officially opened by Dame Sarah Storey DBE in July 2018, the new facility provides an expanded area for sports and PE; viewing galleries; a large fitness suite; a ‘mind and body’ studio and a welcoming reception and hospitality area. The Development Office has strong links with alumnae as well as former and current parents and staff and has been successful in raising substantial amounts for the Bursary Appeal, for the new Chemistry laboratories and for an Annual Fund which enables enrichment activities for current pupils. Withington Onwards (the past pupils’ association) and the Parent Teacher Association are active in, and committed to, supporting the School socially and financially. 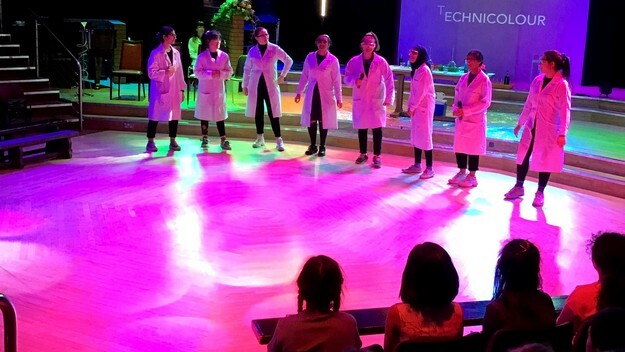 There are also close links with the local community including, for example, the Saturday morning science, classics and DT lessons run by the School for gifted and talented boys and girls from local primary schools under the SHiNE programme. The excellent quality of teaching is a major factor in the exceptional level of achievement secured by pupils, both within and outside the classroom. Staff are eager to share their passion and enthusiasm for their subjects and give willingly of their time to assist individual pupils outside lesson times; the relationship between pupils and staff is a particular strength of the School. The School has little need for formal rules and runs on “the 3 Rs” of Respect for self, Respect for others, and Responsibility for personal actions and its pupils thrive within the warm, friendly and supportive environment. At home or abroad, Withington girls attract positive comments and we are just as proud of them as they are of their School. Withington Girls’ School is committed to safeguarding and promoting the welfare of children and applicants must be willing to undergo child protection screening including checks with past employers and the Disclosure and Barring Service.